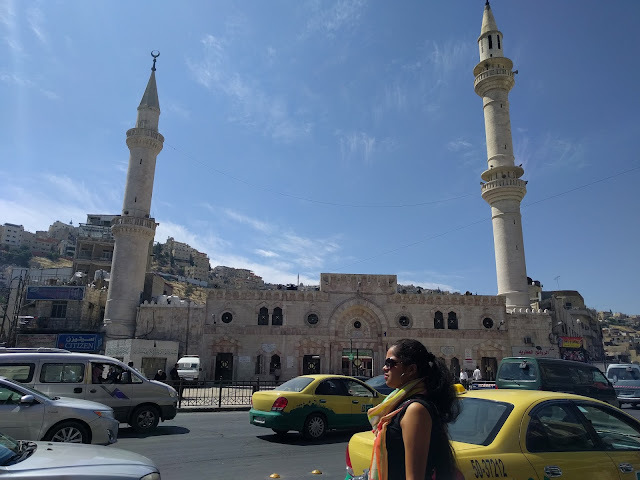 The rose red city, structures carved out beautifully from the rocks, watching lights & a musical night, posing with Bedouins or hitting a conversation with a local, to explore the city of Jordan, there are more than many ways. 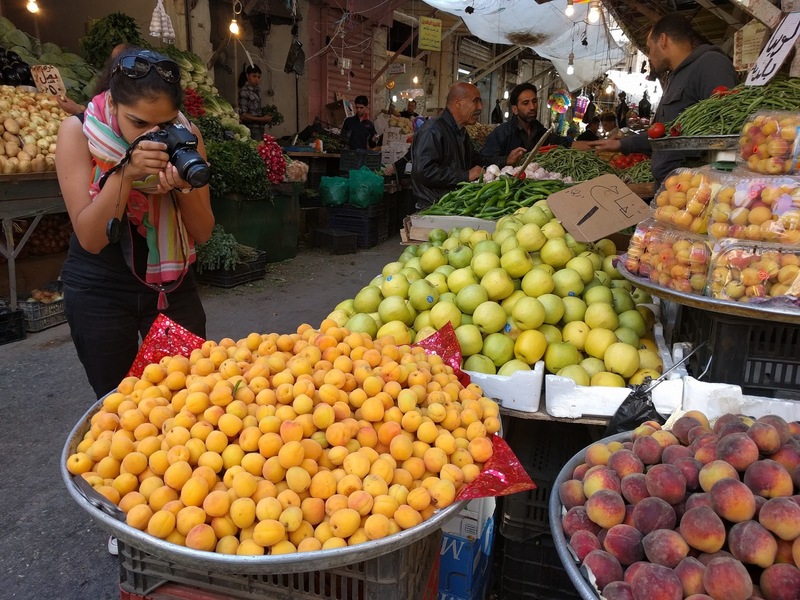 Before heading to Petra, we spent some time in Downtown Market, Amman which is famous for shopping. From spices and fruits to clothes and souvenirs, you can find it all in here. With vehicles bustling on the road, it was fascinating to cross the wide roads in here. Then we headed to the Royal Automobile Museum which was established in 2003 by King Abdullah as a tribute to his father Late King Hussein, who was considered always ahead of his time in all aspects of life. 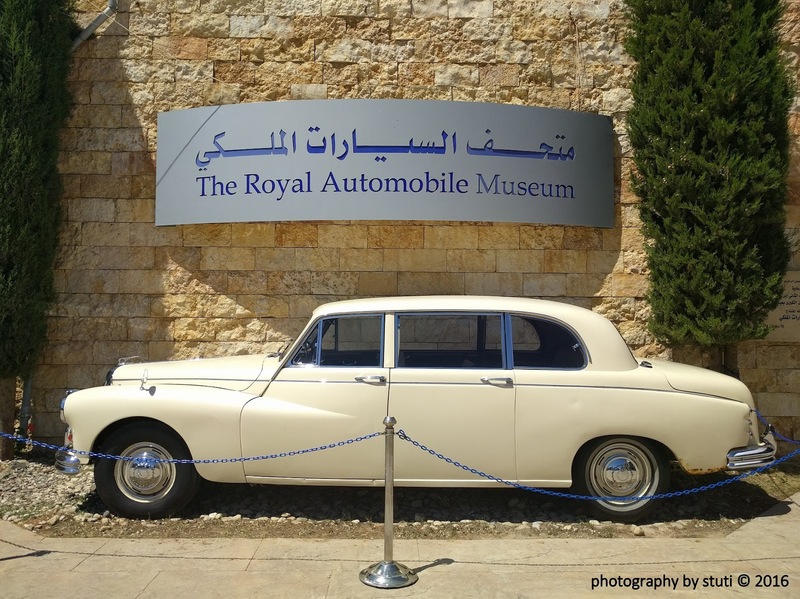 It houses a rare collection of Jordan's vehicles ranging from Hussein bin Ali's cars that came to Amman in 1916 to modern sports cars and also the ones used in world war. But what took my heart away were those awesome bikes ranging from Harley Davidson to Honda, BMW to Lamborghini, they were all so amazing that I almost swooned. 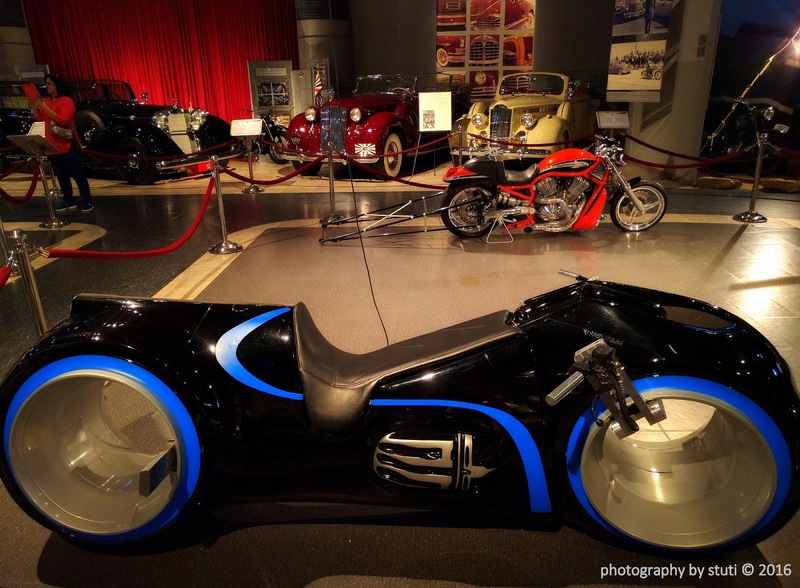 King Hussein used his motorbike only on private occasions. The tour was simply amazing and something that I haven’t experienced before. Passing through the Highway no. 15 also called as the Desert Highway, was an experience in itself. Both sides’ brown and the grey road piercing through the desert it felt like experiencing the song Hairat Hai from the movie Anjaana Anjaani (I have this uncanny habit of connecting real with reel). We travelled and travelled but finally reached where one among the 7 new wonder reside. 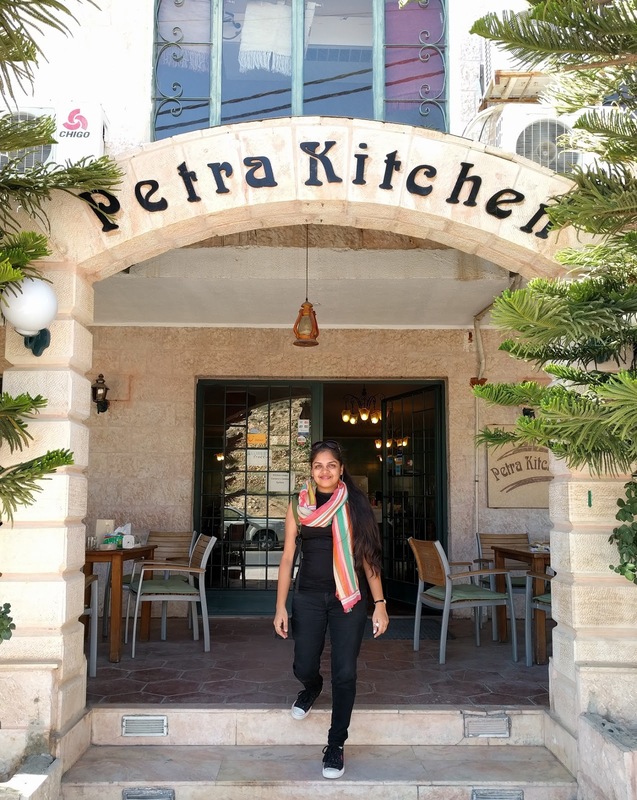 It was lunch time and an opportunity to cook at the ‘Petra Kitchen’. Post our foodie extravaganza we checked in at the Petra Guest House Hotel and soon after, left for Little Petra. 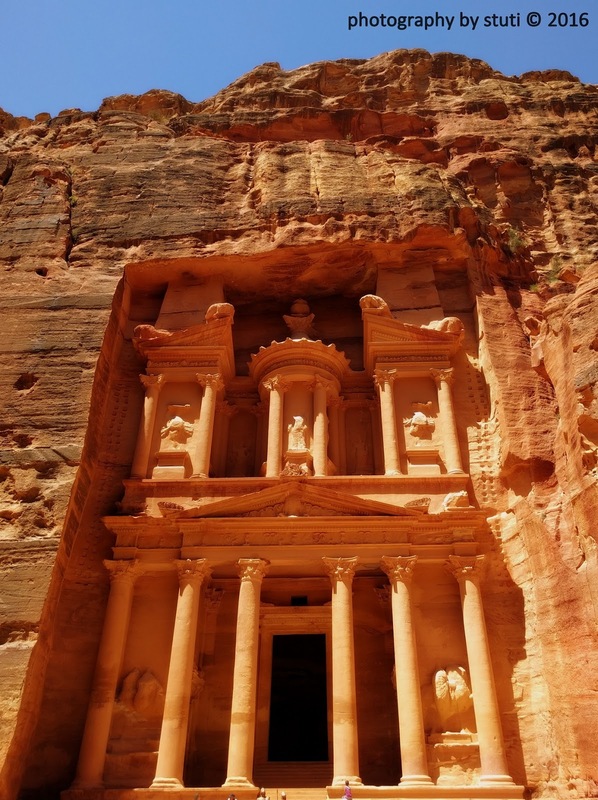 Little Petra is a Nabataean site, with buildings carved into the walls of the sandstone canyons. The site is free for entry and yet was less crowded. Initially used to house the merchants on the Silk Road, the area was used by the Bedouins for centuries post the decline of Nabateans. Also known as Sig al-Barid, it was a breezy evening when we reached Little Petra. A desert looking pathway took us to the magnificent architecture, known as the Cold Canyon - huge, tall carved architecture which doesn’t allow sunlight to come in. Some places wide and some quite narrow, the entrance to the inside of the complex was in fact through a very narrow passage, welcoming us to a wonderful big area. Left: At the first building of Little Petra, Right: Standing among cold canyons. At the end of the canyon there is a stairway which takes you to the other side where people usually go hiking but it is advisable to not go without a guide. We left the place with a heavy heart. Little Petra was mesmerizing and the sunset behind the mountains made the area look mysteriously awesome. While leaving through the curvaceous road I got a chance to witness the most beautiful sunset ever. Our Salah, happily stopped by the roadside to let us capture & take away the beauty with us. We reached our hotel and gorged on some Jordanian Shawarma and cold drinks. 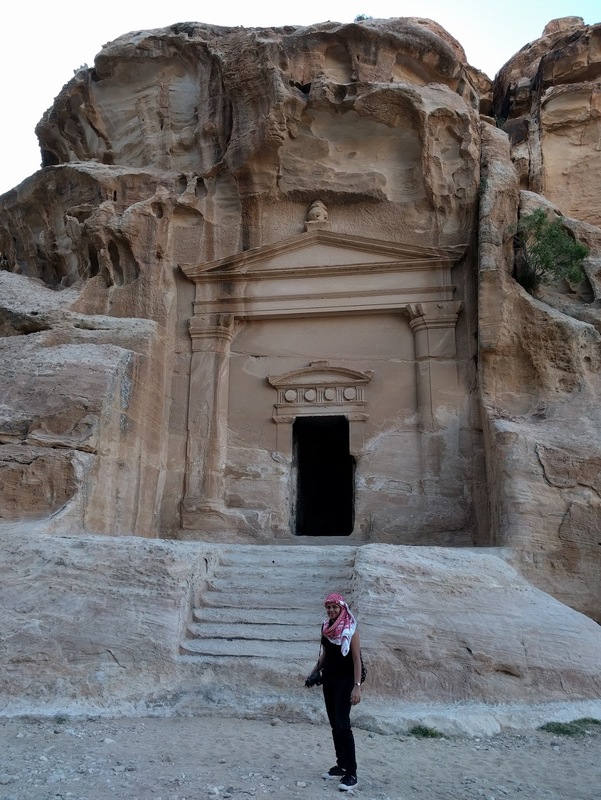 After a brief wait we ascended towards the Treasury (also known as Al Khazna) to witness Petra by Night. This is one sight that I had been longing to capture since a long time. People say that, the Petra visit is incomplete without the light and music show at the Treasury. What welcomed us at the Treasury was totally impeccable. 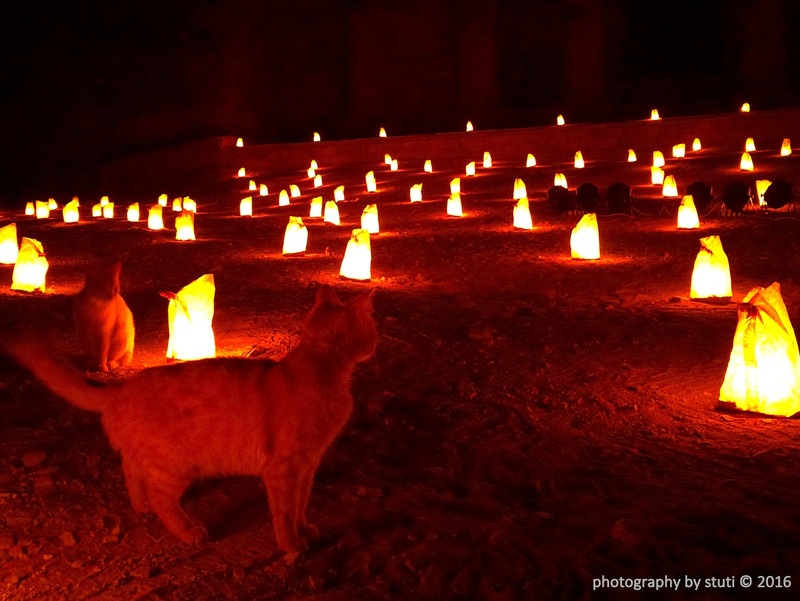 Numerous candle-lamps on the ground were lit between us and the treasury. We were asked to sit on the carpet and were served “chai”. It was soon followed by a beautiful musical composition. The artists played lovely local music and the ambiance turned surreal. In the morning, we left for the 40 m high Treasury to watch it in daylight, and go an extra mile. Including a hike of 822 steps, we left at 6 am for the famous Monastery. 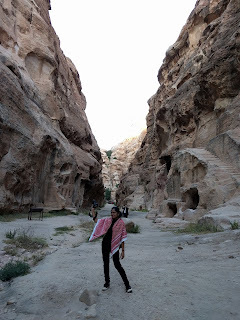 Walking through the Siq in the morning was theatrical; a natural sandstone gorge that gently winds towards the ancient city of Petra, the city of sand, sandstone and beautiful architecture… the sight is still afresh in my mind. The journey from the Siq up to the Treasury is around 2 km. Passing through huge canyons and witnessing the manmade work, left me in complete surprise. From the Treasury to the monastery was quite a journey. On the way we saw the street of facades, various tombs which are actually huge intricate structures carved out of sandstone, tunnels, the Great temple, etc. Walking via different trails viz. Al-Khubtha, the Royal Tombs trail we reached monastery, the hike was tiring but worthy of all the sweat. It is huge and carved out perfectly, one of the largest structures in Petra measuring 47m x 48.3m. The view from top and the valley behind, every bit of it was nothing less than a mystery. No matter how many pictures I took, the beauty of the Petra city is indeed indescribable. Looking at the Monastery savoring the moment of achievement. On our way back, we bought a few trinkets and souvenirs. 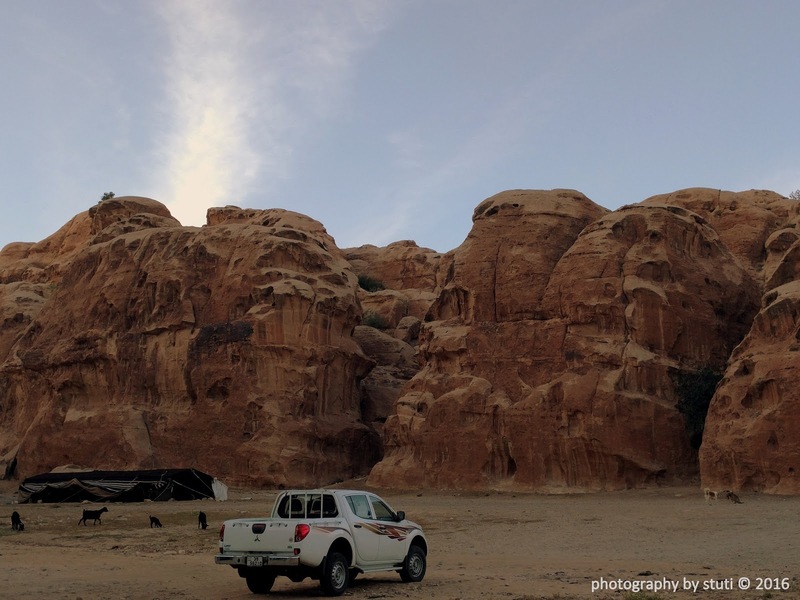 We made it to the guest house in time and bid adieu to “Petra”, only to leave for another beauty – ‘Wadi Rum’. 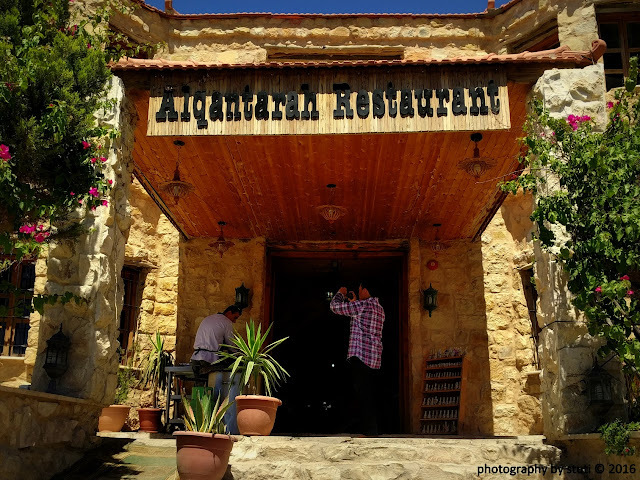 We had our lunch at Al Qantarah Restaurant, a marvellous option indeed! Say a polite “no, thank you” if you don’t want to buy something, don’t get into any argument. Very nicely described blog. Petra is indeed one of the best places I have been to. There is so much to see and understand here. 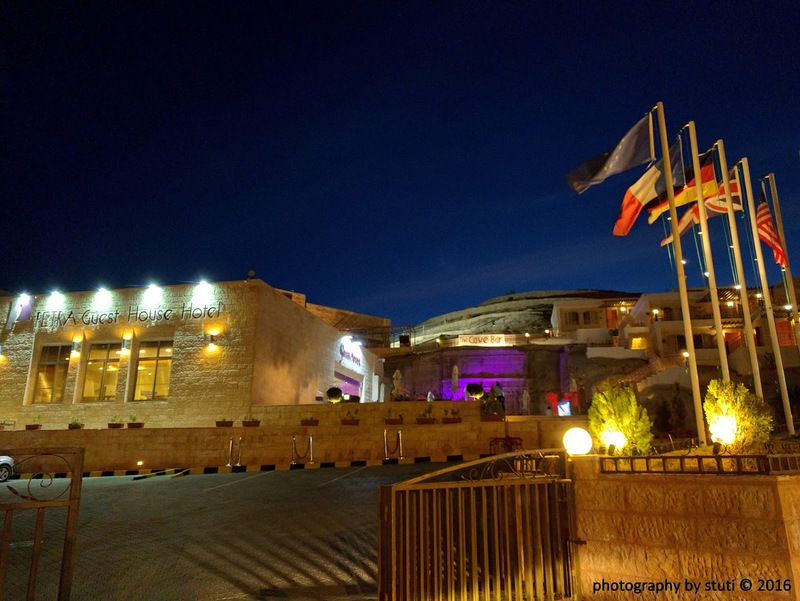 The confluence of Roman, Greek and Nabataean history makes it special. I can spend a week here. Thank you. I am glad you loved it. Stay tuned for more posts on Jordan, you can take ideas/ tips for your trip in future if you like to. This is very informative post. Jordon is in our travel list from a long time and your post inspired to visit it soon. I am glad :) make a plan soon ..